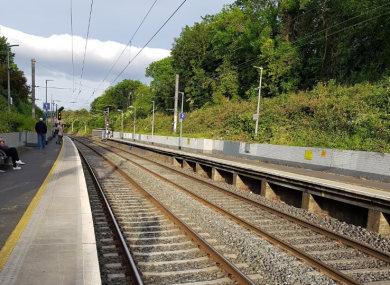 RAIL SERVICES BETWEEN Raheny and Clontarf Road remain suspended after a “tragic incident” this afternoon at Harmonstown Dart station, Iarnród Éireann has said. Dublin Bus is accepting rail tickets with bus transfers in place between Connolly station and Drogheda for those travelling on Enterprise train routes. Iarnród Éireann has said that services will remain suspended until 3pm at the earliest. Email “Severe disruption to DART line after 'tragic incident' at northside station”. Feedback on “Severe disruption to DART line after 'tragic incident' at northside station”.